This product is unique with a very impressive star shape bloom. The Pink Rose is one that is sure to turn heads and instill the desire to plunge onlookers noses right into its bulb to enjoy its scent. It inspires thoughts of love, happiness, and tranquility, which is a perfect message to convey at a birthday party or wedding. 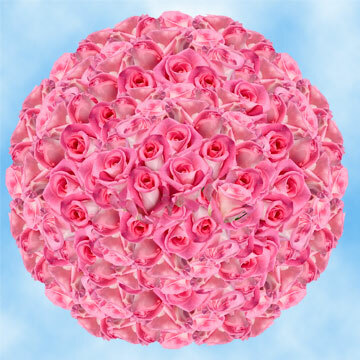 It is perfect for weddings, birthday parties, or as the centerpiece for that special night out. As a message of gratitude or admiration the light it is the ultimate floral-gram. Globalrose.com's greenhouses are the industry standard and other wholesalers strive to reach our quality and ingenuity. 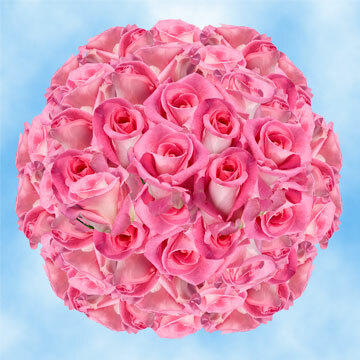 Globalrose.com only ships through FedEx to provide consistently excellent shipping results. 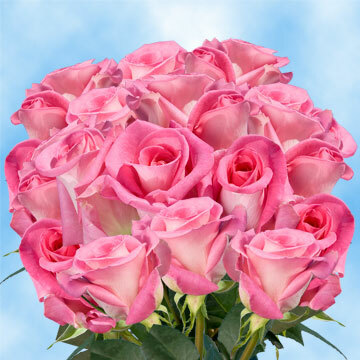 We also guarantee fresh flowers to your doorstep. 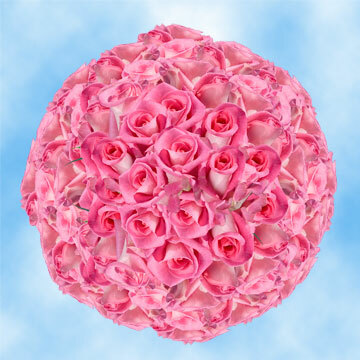 Great shipping and guaranteed fresh flowers is what Globalrose.com achieves all year round, as our greenhouses continuously grow the perfect floret you need three hundred and sixty-five days out of the year. 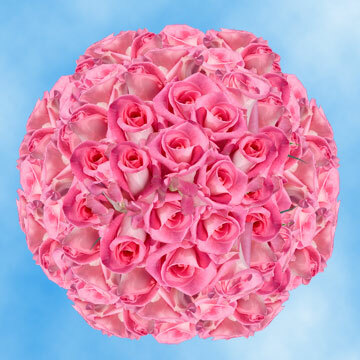 Our products will bloom to their maximum after only seventy-two hours and are ready to be placed into a vase or any floral arrangement right out of the box. 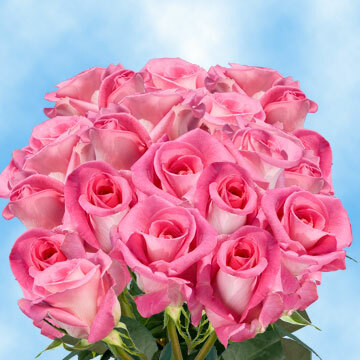 The Pink Rose is a simple colored blossom that conveys images of beauty and love, tell that special someone how much you love them today!